Thank You! a magical word. This word shows that you are grateful or obliged for what other person did for you or going to do for you. We say ‘Thank You’ when we are getting something in return. Does this word has got such a simple meaning? or has it got another deep meaning? It is not only magical but it is a very powerful word. It expresses gratitude – feeling of thankfulness and appreciation. We say ‘thank you’ when we get some thing in return but have you tried to be thankful and appreciate things which you get everyday. Just to make a list: when mother gives you breakfast, cooks for you, your father gives you pocket money, parents gives you shelter and provide for your basic necessities, teachers, cleaner in you home or office, etc. Are you confused? Why shall we say thank you for these things? Parents do things for us it is their duty, we pay fees or salaries to other people. If we are paying for their services then why shall we say ‘thank you’? You should always have an attitude of gratitude. Gratitude makes you humble and keeps you grounded. Gratitude also teaches you to count your blessings. We get so busy in counting problems that we forget to count the blessings. 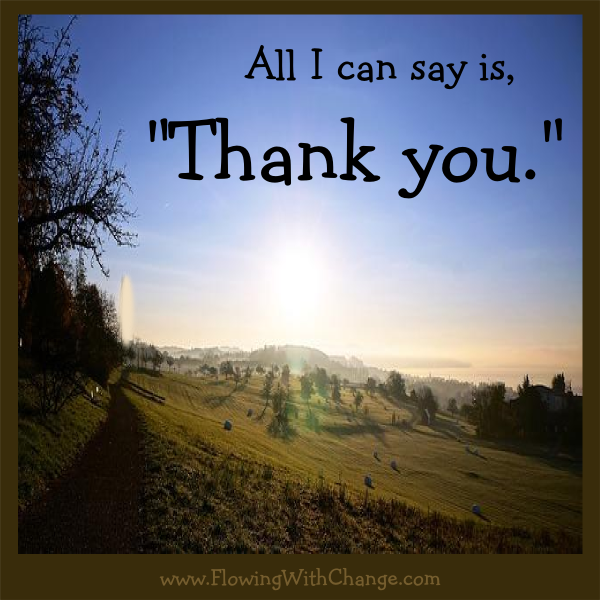 For once just for TODAY, keep saying thank you from the moment you open your eyes till you go to bed. Say thank you that you can see, you can hear; say thank you to your mobile, to your car, to each and everything whom feel thankful to. Have this attitude of gratitude at every step of life and you will feel blessed always. This entry was posted in My Musings and tagged blessings, gratitude, thankyou. Bookmark the permalink.